Dear Floorball friends, July 8th 2011 became a date that will be remembered within Floorball. The date when we received the full IOC recognition for IFF and Floorball! The recognition was received during the International Olympic Committee’s 123rd session in Durban, South Africa and it is an important step towards participation in the Olympic Games and the Youth Olympic Games. It can also be considered as proof of the good work that all Floorball stakeholders have done during the 25 years of IFF’s existence. One of the reasons for achieving the full IOC Recognition is the strengths of Floorball – we are still a growing sport of the 21st century, we are attracting the youth and we have an alternative to offer for World of Sports. loorball is a versatile indoor team sport which is played on a 40 x 20 m synthetic plastic or wooden surface in a rink with five field players plus a goalkeeper in each team. Floorball is played with plastic (carbon fibre) sticks and a very light ball and with a goalkeeper without a stick. The main objective in Floorball is to score more goals than the opposite team. The playing time is 3 x 20 minutes effective time. There is only some body contact allowed, which makes Floorball a really safe and spectator friendly game with lots of goals scored during a match. How Floorball is played Floorball is played in a match between two teams consisting of five field players and a goalkeeper in the rink at one time. The idea of the game is to score more goals than the opposite team within the limits of the rules. goalie should take part in the game by guiding and steering the field players. In order to cope with tough situations the goalkeeper should be a mentally strong player. The goalkeeper is very important for the team and can easily be the difference between winning and losing. The game time can vary depending on the age of players and the level of the match. In official matches the game time is 3 x 20 minutes effective time. During tournaments and in matches with young players other game times can be used, however no less than 2 x 15 minutes. Floorball is a fast and entertaining sport and the development has been amazingly quick. Since the first Floorball federation was founded in Sweden, the sport has spread all over the world and is now played in over 70 countries out of which more than 50 countries currently are members of the International Floorball Federation (IFF). The largest number of players can be found in Northern Europe, Switzerland and Czech Republic, but the sport has already spread around the whole world. Floorball is played in Europe, Asia, Australia, North America, South Africa and Africa and is constantly spreading to new countries, who are eager to take up this fascinating sport. Although Floorball is a professional sport amongst the elite players requiring their fulltime involvement, it is still a sport for all. The great advantages of Floorball are the easiness to start playing, the relatively low costs to play the game and the fascinating speed of the game. Floorball has grown especially popular amongst the youth and as a relatively young sport, Floorball has created its own subculture, with its own clothing style and a lot of Floorball accessories. Floorball is also one of the few sports, which has started at the same time for both men and women and has maintained the equality of the genders as one of its important qualities. Good defenders should trust themselves with the ball and have the ability to read the game in order to give good opening passes. The defenders need to be tough in one against one situations and try to do everything possible to protect their own goal. It is also an advantage to possess a sharp long distance shot to be utilized in the offense. Each team is allowed to have a maximum of twenty players and five team officials in a match and these persons shall be noted in the match record. To be able to start a game each team has to present at least five field players and one properly equipped goalkeeper. During the match each team must have at least four players. A player that has started as a goalkeeper can’t later in the game play as a field player. Substitution of players may take place at any time and an unlimited number of times during a match. All substitutions must take place within the team’s own substitution zone. A player leaving the rink must be on his way over the board before the substitute may enter the rink. Center forward The center is normally the “brains” of the offensive line. These playmakers start the attacks with their brilliant opening passes. n the defence the center has more responsibility than other forwards and usually the center takes care of the important middle zone in the defensive zone. Floorball Tactics T he choice of tactics usually depends on what is known about the opponents. For the chosen tactics, it is essential that every player knows what to do and that they all work as a team. Usually the team has decided how they will fore-check, meaning how they will group to take on the opponents attack. There are common tactics for fore-checking and defending, but when it comes to attacking the players are usually left to use their imagination. In the following examples the formations are grouped with the defenders first and the fore-checking forward/forwards last. The players are placed into three different levels on the field and the amount of players on each level describes the tactic. execute impressive feints and give unexpected passes. Other wing forwards are more straightforward and usually these forwards are good at sensing the free scoring opportunities and as hard working players are good at fore-checking. the IFF referees have to pass physical tests as well as rules tests in order to be able to referee in the international matches. The referees make the decisions in the game, but there is the match secretariat assisting the referees in technical issues. The match secretariat is responsible for the match record, time keeping and speaker tasks. Physical requirements The physical requirement for Floorball players has developed a lot during the existence of the sport. A modern Floorball player takes a lot of short spurts in different directions, so they need to be athletic, have good reaction, speed and elasticity skills, and have good eyehand coordination and stick handling skills. The training is a combination of tactical, technical and muscle fitness, including speed and running coordination. The goalkeeper needs good endurance and very good mid body muscle fitness. Floorball is a sport which everybody can take part in and the rules encourage quick and technical play. When offences are made, free hits are given for the opponents and if offences are bad enough penalties are given. Players can be sent off for two, five, or ten minutes or for the rest of the game, depending on the severity of the offence. A penalized player is not allowed to leave the penalty bench area, until their penalty time has finished. The most frequent offences are slashing (incorrect hit) and illegal pushing although the rules allow playing shoulder to shoulder with the opponent. The intensity of the game requires two referees, in order to swiftly and correctly interpret situations and make sure that the rules are followed. Defensive tactics: 2-1-2 Probably the most commonly used tactic all over the world. Here the center has an important job keeping the team together and being correctly positioned when defending. The team can then vary on which level of the field they want to encounter the opponent’s attacks. The level can be high and then the forwards press the opponent’s defenders already in the opponent’s defensive corners. In the low version the forwards play passively in the midfield and wait for the possibility to block the opponent’s opening passes. 1-3-1 forward) and the lowest level (formed by defenders) of players move sideways to the side where the ball is played and the distance of the players on the same level should stay almost the same all the time. 2-2-1 This tactic is based on aggressive fore-checking and is used when the team is trying to take control of the ball as soon as possible. The forwards form the highest level and they actively give pressure to the opponents. The middle level is formed by the center and one of the defenders and their job is to move sideways and block the midfield. The lowest level is formed by only one defender, which makes this tactic more vulnerable if the opponent team is able to get past the two highest levels. This is however difficult as there are four players moving actively and trying to block the openings. This tactic is not used very often and demands a high tactical knowledge and disciplined play by the three midfielders who have to take extra responsibility, both in defence and offence. The advantage of this tactic is that there are always four players in the offence and when defending the team is usually able to stop the opponent’s passes in the early stage. Man to Man defence/ Man cover Another type of defence is man cover, which means that each player has the duty to cover a certain player. Usually the defenders cover the wingers, the center forward covers the opponent’s center forward and the wingers cover the defenders. Man cover is dependent on the offensive team’s moves and against a moving team it is physically very demanding. Man cover is however used in combination with zone defence and is highly recommended in certain areas of the rink, especially in the slot. loorball is a sport which is easy to start playing. No big investment in the equipment is needed and it is possible to start playing with only shoes and a stick. No previous experience is required either, the players develop quickly and almost everyone can learn the basic skills of the sport and have fun while playing. As the pace of the game increases the game becomes more challenging and requires more advanced ball handling, shooting and passing skills. When the tactical parts are included, Floorball becomes even more demanding. It takes years of practice to master the sport and to become a top Floorball player on the elite level. In the beginning of Floorball history many of the players had a background from other team sports such as football or ice hockey. Since Floorball is a young sport, only now the first generation of players that started playing Floorball as children have entered into their twenties. The skilfulness of these players has taken the sport to a new level. These players possess very good technique including ball handling skills, shooting skills and speed on the field and this has increased the intensity of the whole game. In top Floorball matches the teams are able to move the ball through the 40 metre field in a few seconds which creates lots of scoring. A two or three goal lead during a match is not decisive at all and therefore the game is really entertaining and exciting for the spectators. The recreational part of the game is a guaranteed success. People are having fun playing and getting into shape while running. It has been proven that you can take any group of people, give them the sticks and a ball and play a real game. It does not matter whether the participants are men or women or both, also mixed Floorball is fun to play. Every Floorball player can experience a true feeling of success while playing. Floorball can be played both by girls and boys, women and men equally. A great benefit is that the physical factors of the player do not decide how good the player is. The speed of the player is not everything, since the ball still moves faster, giving space also for analytical players. Another great benefit of Floorball is that it can be played almost everywhere and even in quite extreme surroundings such as the beach, snow or even the swamp. Floorball Equipment T he basic equipment of a field player includes a stick, shoes and clothes suitable for playing. The goalkeeper has a helmet, goalkeeper pants, a jersey and protective gear. As well as the development of the sport, also the development of Floorball equipment has been fast. The shaft of the sticks has improved from heavy and thick plastic shafts to the modern, much lighter and advanced carbon fibre shafts. The latest invention of the shaft is the curved shaft, which gives new abilities for shooting. In the beginning all the blades were similar, but nowadays the form, material and stiffness of the available blades vary a lot. As the result of different shafts and blades, the Floorball equipment manufacturers have each their own stick collection. Every brand offers different sticks for players with different qualities. The sticks for small children are shorter and bend more. collections, which are fresh and unique for the sport of Floorball. The collections are sporty and youthful and also spread outside the Floorball community. places Floorball was played three against three without a goalkeeper in small rink using small goals. On the International competition level the rink size has from the beginning been 40 x 20 m and the goal size is 160 x 115 cm. The rules allow all rink sizes between 36 x 18 m and 44 x 22 m, as long as the rink formula is length = 2 x width. A fully equipped rink includes also markings on the floor. Two goalkeeper areas, the centre line, the centre spot and the other six face-off dots shall be marked on the floor. Both goals are surrounded with the goal area of 4 x 5 meters and inside the goal area there is a smaller goalkeeper area of 1 x 2,5 meters, where only the goalkeeper can operate. his young sport has its roots almost all over the world as games similar to what we know as Floorball have been played in a number of countries. Some roots of Floorball have been found as far back as from 1958. The idea of plastic sticks (with both shaft and blade) was born in a plastic industry in Lakeville, Minneapolis, in the USA. They introduced sticks and other plastic material under the name Cosom. The Cosom floor hockey grew during the next decade rapidly in both the USA and Canada. Game series have been played in North America and Canada, but mainly for children and youth. and youth clubs. One of the reasons for the very fast growth of Floorball in the 1990’s was the financial recession in the beginning of the 1990’s, when Floorball as a relatively inexpensive sport gained a lot of players. The development of a Floorball association usually follows the same steps: •	First there are some sport fans that want to play Floorball and are playing together, but in order to play matches they form a few clubs and play against each other instead. •	When there are 3-5 clubs there is a need to form an association and a national team and start to play own national championships. •	When there are 10 clubs the associations starts to collect membership fees and building up the organisation. The major challenge has always been to climb to the next step, when it comes to developing the organisation and starting to build an administration. As a young sport Floorball still has the challenge that most persons within Floorball still play the sport, but as time goes by people playing on a competitive level move into the organisation. Floorball spread rapidly in the 1980’s and the first national Floorball Federation was founded in 1981 in Sweden. Quite surprisingly the second Floorball Fed er a ti o n wa s founded in Asia as the Japan Floorball Association was founded in December 1983. Mr. Takanobu Yoshino is one of the true icons of Floorball as he has been involved in the sport since the international appearance of Japanese Floorball and has been taking part in all IFF General Assemblies and adult world championships since the Open European Championships played in 1995. The next national Floorball Associations were founded in Finland and in Switzerland, both in 1985. The International Floorball Federation was founded by the Swedish, Finnish and the Swiss Floorball Association. The IFF was founded in Huskvarna, Sweden in 1986. The first official IFF Congress was held in Zürich, Switzerland and Mr. Pekka Mukkala was elected as IFF P r e s i d e n t . M r. Mukkala replaced the first IFF President Mr. András Czitrom. Hungary joined the IFF family. The goal to organise official Championships in order to spread the awareness of the sport became true when the first European Cup for national club champions was played in Helsinki for women and in Stockholm for men. Czech Republic and Russia joined the IFF family. The first European Championships for men were played in Finland with 8 teams: Czech Republic, Denmark, Finland, Hungary, Norway, Russia, Sweden and Switzerland. Sweden defeated Finland 4-1 in the final and became the first European Champions. The sport had also spread to both Asia and North America and in 1994 both Japan and USA joined the IFF family. Also Estonia, Germany and Latvia joined the IFF family. The first World Championships for women were played in Åland, Finland and the first Presidents’ Meeting was held in connection with this competition. Sweden won the first Women’s World Championships after defeating Finland in the final 4-2. Austria, Great Britain and Poland joined the IFF family. The Men’s World Championships were divided to A- and B-divisions since the number of teams had steadily increased. The first South American nation was to become a member of the IFF when the Brazilian Floorball Association joined the IFF family. Finland won their first World Championships gold medal in the Women’s World Championships where for the first time also a B-division was played. The first qualifications to Men’s EuroFloorball Cup were played due to the increased number of teams. Also the Netherlands and Slovakia joined the IFF family. Floorball development in the 90’s can be described with the aim to spread the word of this new, fast paced and entertaining sport and to organise Championships for the enthusiastic players. The goal to spread the game has continued since, but the growth of Floorball has also created new goals and demands for the Floorball world. In order to reach new targets more professionalism has been needed in every Floorball organisation. The first European Championships for women and the second for men were both played in Switzerland. To give Japan the possibility to take part IFF decided that the tournament should be played as Open European Championships. Belgium and Singapore joined the IFF family. The first World Championships for men were played in Sweden in 1996. The final was sold out with 15 106 spectators in the Stockholm Globe Arena and the home crowd could celebrate Sweden’s WFC victory. Australia joined the IFF family as the first country from Oceania. The IFF Office moved to Sweden and the first employee, Mr. Stefan Kratz, was hired the same year. For the first time, competitions for the young generation of athletes were held. The first World Championships for men Under 19 were played in Germany. Spain, Italy, Slovenia, Canada and New Zealand joined the IFF family. IFF gained provisional membership of GAISF (General Association of International Sports Federations), which was the first step in bringing Floorball to the International sport community. Because of the increasing number of member federations, international tournaments had to be partly reorganised. There was a need for qualifications in the U19 World Championships and the qualification tournaments to EuroFloorball Cup were increased from one to three. The International School Sports Federation organised the first ISF School World Championships in Czech Republic. IFF applied for the IOC recognition for the second time in December. Moldova, Ireland, Israel, Serbia, Argentina, Thailand and Portugal joined the IFF family. The first World University Floorball Championships for students were played in Sweden and Malaysia, India and Georgia joined the IFF family. IFF applied for IOC recognition, but the application was never considered by the IOC, which had changed the rules for recognition. IFF signed the WADA Anti Doping Code. France joined the IFF family. On May 20th IFF gained the ordinary membership of GAISF, now called Sport Accord. The first World Championships for women under 19 were played in Finland. Also the C-division for Men’s World Championships was established due to the increased number of teams and Pakistan joined the IFF family. The Women’s World Floorball Championships where held for the first time outside Europe, in Singapore and Switzerland won their first WFC gold. The IFF Office moved to Helsinki and the number of employees was increased from one to three. IFF started the Development Programme, with a seminar block for coaching, refereeing and administration. Korea, Ukraine, Liechtenstein and Iceland joined the IFF family. In order to strengthen the development of Floorball in Asia and Oceania, the IFF initiated the formation of the Asia Oceania Floorball Confederation. The principle was to have a locally based organisation to coordinate the development of Floorball in the region. The AOFC has later employed a person and set up an office in Singapore, with the help of the Singapore Sports Council and the Singapore Floorball Association. The IFF renewed its logo and the web page in Febr uary 2006. There were eight matches televised from the Men’s Wo r l d F l o o r b a l l Championships 2006 played in Sweden and the final was also live on Eurosport. The total number of TV spectators for the eight matches in 2006 was 2,2 million. Mongolia and Armenia joined the IFF family. IFF decided to change the International Competition Calendar in order to develop the sport. IFF started the strategic planning process – IFF Future Vision for the coming decade and an important milestone was reached when the IFF received the provisional recognition of the International Olympic Committee on the 11th of December. The number of employees in the IFF Office increased from three to five and the first country from the African continent, Sierra Leone, joined the IFF family. Also Turkey and Romania became IFF members. A new spectator record was set in the 7th Men’s World Floorball Championships in Czech Republic as 104 018 spectators attended the WFC 2008 tournament. In total 17 matches were televised from the championships. Finland won their first Men’s World Championships gold. Belarus, Iran and Indonesia joined the IFF family in 2009. IFF accepted the revised World Anti-Doping Code and the IFF received the WADA Code Compliance in 2009. The IFF Central Board approved the Game Rules that were made effective from the start of the season 2010-2011. The new WFC system, played with 16 teams was implemented starting with the Men’s World Floorball Championships played in Finland in December, and continental qualification tournaments were for the first time played in February 2010.A new attendance record was set during the Magical Games as the average number of spectators per WFC match was 2 035. The IFF Marketing strategywas renewed in order to strengthen the brand of Floorball on the International level and IFF’s brand message, One World – One Ball, was launched. Lithuania joined the IFF family. IFF celebrated its 25th anniversary and an important milestone was reached when the IFF received the full Recognition by the International Olympic Committee (IOC) during the IOC session held in Durban on July 8th 2011. IFF also received the associated membership in the International Master Games Association and signed the Brighton declaration supporting gender equality within sports. A new Men’s U19 World Floorball Championships spectator record in the total attendance was reached in the 2011 U19 WFC played in Germany. IFF implemented the new Top Club Competition, the Champions Cup (CC), and the first edition of the CC was played in Czech Republic in October. The EuroFloorball Cup system was changed in connection with the new Champions Cup. The Philippines and Jamaica joined the IFF family as members number 53 and 54. More information in the chapter IFF Today. Mr. Stefan Kratz. Mr. Kratz is without doubt the longest serving person in International Floorball. Kratz started with Floorball in the early 80’s together with a bunch of friends first playing, then as a lot of players do, he moved to coaching the local club and also ended up coaching the Swedish Men’s National team in the 80’s. This polite and always smiling Swede, quite soon moved from the limelight into the organisation Kratz was a CB member of the IFF between 1986 – 1996, serving both as the CB secretary as well as treasurer and vice president. He has been laying the foundation for IFF’s present game rules and has in a number of roles also contributed immensely to the development of Floorball. Kratz was also a member of the Central board of the Swedish Floorball Federation between 1983 – 1987 and then worked as a competition director for the Swedish federation from 1987 until he was employed by IFF in 1996. When IFF had grown so much that it was time to elect the first employer the choice was quite clear and Kratz was employed as IFF secretary general. Since 2005 Stefan Kratz has been responsible for the growing number of IFF Events. IFF Today The International Floorball Federation (IFF) has run World Floorball for 25 years, mostly with little or no opposition or assistance, relying in the beginning mainly on the support of the three founder nations. However over the past years the interest in the game has grown tremendously compared to the previous decade of IFF’s existence. As a consequence, there are now active groups all over the globe and Floorball is being played in over 70 countries. IFF is a well organised fast growing international federation, which is concentrating on three major issues, organising and running the international competitions; lobbying for Floorball on the international sport scene, expanding the services and programs created to develop the emerging associations and building the marketing on an international level for the sport, including the expanding the TV visibility of international Floorball. The IFF Strategy approved by the IFF General Assembly in Prague in December 2008 defined that the core mission of IFF is to promote, develop and most of all nurse and service our stakeholders and further protect World Floorball at every possible level of the game and finally to spread the knowledge based on the principle of unity, equality and solidarity and to deal with all questions relating to World Floorball. IFF is an association consisting of associations, existing for the associations, based on the principle of representative democracy and is the governing body of all types of World Floorball. Floorball being the priority in everything we do. The IFF has actively looked for new members during the last 4-6 years and in the same time created services in order to develop these newcomers. IFF consists of the National Associations that are members of the IFF. Ordinary membership is decided by the General Assembly, which is held every second year, in connection to the Men’s World Floorball Championships. The GA also elects the Central Board, decides budget, IFF Competition working plans etc., for the manager Kratz coming two year period. Between General Assemblies the IFF Central Board have the power to grant provisional membership to new National Associations and take care of running matters. Today IFF consists of 54 member associations from all over the world. Together these member associations had 283 166 registered players in 2011 playing in their national series. These players belonged to a total of 4 271clubs. “To be the internationally approved/accepted sole owner of the dynamic sport of Floorball and all its different forms and identities; serving as an attractive sport for all. Being a healthy organisation with sufficient human and financial resources, with over 100 national members associations, having and organising their own national championships and five continental confederations. Floorball is adaptable to be played on a global level taking into consideration all the different infrastructural conditions, according to the standardised game rules, with a WFC played with participants from five continents, based on the qualifications and being on the program of the Universiade, the World Games and/or the Olympic Games until 2020.” The steady growth of the IFF member nations, the popularity of the IFF competitions, the increasing branding and marketing of Floorball, the increasing co-operation with the international sports community and the proactive development work in spreading the sport demands an increasing dialog with our stakeholders, which is a the direction IFF has taken. 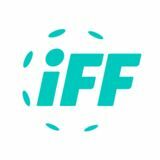 IFF Promotes Equal Opportunities Floorball a sport for girls and women The IFF takes gender issues in its sport very seriously as gender equality plays an important part in the long term strategy. IFF has as a part of its Strategic implementation conducted a project to increase the number of female Floorball players and the number of leagues. The objective is that all IFF member associations participating in international events, should have national Women’s and if possible also girls series by 2018. You can find the following floorball information material on the IFF web site in different languages: •	Floorball Youth Start Up Kit – A Manual of how to teach Floorball to juniors found in English, German, French, Spanish, Italian, Portuguese, Russian, Polish, Slovenian, Chinese (Mandarin), Dutch and for the Bosnia – Herzegovina/Serbia/Montenegro/Croatia Language area •	Individual Technique and Tactics in Floorball – Coaching manual of teaching individual technique & tactics found in English, Estonian, Polish and for the Bosnia–Herzegovina/Serbia/Montenegro/Croatia Language area •	Team Tactics - Teaching team tactics in Floorball; Instructions and Drills •	Special Situations and Goalkeeping – Instructions and Drills. •	Learn, Start, Play - Learning the game, starting up the organisation and playing in different ways. •	Basic referee education material. The material includes basic training and will give more tools for the referee trainers when training referees. •	Floorball Technique and Goalkeeping DVD •	Found in English, German, French, Spanish, Italian (only the technique), Japanese (only the technique), Portuguese and Russian. 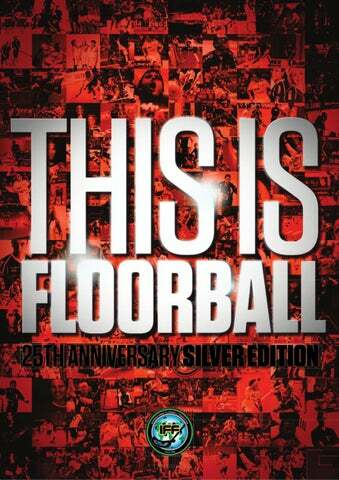 •	Floorball Highlights DVD Found in English, Czech, German, French, Spanish and Russian •	Floorball Brochures. The materials are printed in English and you can ask for them from the IFF office. functions. The participating associations build up a two year development plan during the seminar, which the IFF then monitors. The Seminar is built on three different blocks, one for Organisation, one for Coaching and one for Refereeing all aiming to give additional knowledge to the Associations and assist them in planning and managing development in their respective country. The seminar is a 3-4 day event consisting of theoretical lectures, practical training sessions, group works and handson training and match observations. IFF has so far organised 20 seminars or clinics with participants from over 50 countries and the program continues. The project focuses on involving more females into Floorball, by opening the possibility for women to start playing in groups for school classes, among friends and work colleagues. In a second stage the idea is to involve the players in the national association’s structure building women’s series. IFF will build a series of modules which will be offered to the member associations and their clubs, to help in starting up Women’s Floorball on a local level. IFF is in the process of integrating the project, with the International Working Group for Women and Sports and their Congress in Finland in 2014, in order to present Floorball as an easy and inexpensive way to introduce girls and women to a new sport. Floorball can be played by disabled players The IFF ParaFloorball Function was established in December 2010 in order to coordinate and cooperate with the different international organisations that have Floorball for disabled on their program. The goal is to increase the awareness of Floorball for disabled in the IFF member associations and in the International Sport world in general and to further develop the different forms of disabled floorball being played in cooperation with the international organisations for disabled athletes and the IFF member associations. The IFF currently cooperates with two international organisations that have floorball on their program, the International Committee of Electric Wheelchair Hockey (ICEWH) and Special Olympics (SO). Electric Wheelchair Hockey (EWH) Electric Wheelchair Hockey is a sport for people in electric wheelchairs. EWH is played on an area approximately the size of a basketball court with a surrounding rink. Five players (4+1) are on the court at any time, but a team may have 5 substitute players. A team should have two players with ‘T – Sticks’ (a T shaped stick attached to the wheelchair of players who are not able to hold the stick in the hand, because of limited muscle power) but at least one must be the goalie. IFF Materials IFF has updated existing Floorball materials as well as produced new ones, which have been translated into different languages for Floorball development purposes. All the materials are free to be downloaded from the IFF webpage www.floorball.org . IFF has as a part of its Development program produced three English coaching manuals; The Coaching Material is built on three different levels based on the development of the players, which helps the coach to plan practices in the most efficient way for players of all skills. Special Olympics Floorball Special Olympics is the largest sports organisation for persons with Intellectual Disability with 3,7 million officially registered athletes and 0,5 million coaches in 183 countries in all regions of the World. Special Olympics Floorball is played 3 versus 3 + goalies. Floorball will be a demonstration sport in the SO World Winter Games 2013 in PyeongChang, Korea. Visit www.specialolympics.org for more information about Special Olympics. Manual Wheelchair Floorball Floorball can also be played with manual wheelchairs with rules almost similar to the Official IFF Game rules. International manual wheelchair tournaments have already been played in Europe and more countries are joining in. The aim is to organise manual wheelchair activities like official championships in the future. Floorball Says NO! to Doping IFF´s anti-doping awareness and education campaign is called Say NO! to Doping. The aim of this campaign is to show IFF´s commitment to promoting education and awareness as a cornerstone to the fight against doping in sport. The goal is to increase the awareness of Floorball players in the world of the importance of playing clean, respecting the spirit of true sport and fair play. The campaign is launched in partnership with the World Anti-Doping Agency (WADA). Support clean sport! There have been only a few doping cases in Floorball and the aim is to keep the sport of Floorball clean also in the future. It is of great importance that all Floorball players are aware of the risks of doping for their sporting career as well as their health. The IFF is very pleased that many Floorball players from around the world are committed to spread the message of clean sport around the globe. ne of the most important missions for the IFF is to organise successful international competitions for both adults and youth, and equally for men and women. As Floorball has spread rapidly around the world, also the demands for more international events have increased. The number of IFF events and the number of participating teams has steadily grown since the first IFF event, the European Floorball Championships in 1994. The IFF has continuously developed the different events and there is an ongoing evaluation process to fulfil the needs of the growing sport. have concentrated on building up their internal organisation first and only then focused on their National Teams. Also from a marketing point of view it is really important to have a quality product, i.e. the Adults World Floorball Championships, which is easy to sell and represents the spirit of the sport. During the last years Floorball has on the international field moved into bigger arenas. Spectators in large numbers are getting what they want – excitement, fast games, action and a great portion of fun. The 7th edition of the Men’s World Floorball Championships gathered a total of 104 000 spectators in a total of 48 matches, with over 14 000 spectators during the thrilling final in the O2 Arena in Prague in December 2008. In 2010 the World Floorball Championships were for the first time played with 16 teams (instead of 20) and again a new record was set as the average number of spectators per match was 2 035. In the beginning of the 21st century, Floorball had developed to the stage that it was possible to start organising the World Championships also for youth. This was due to the fact that there were enough Floorball countries which had national youth competitions and also youth national teams. The first Men’s U19 World Championships were played 2001 in Germany and the first edition for Women’s U19 WFC was played 2004 in Finland. As in the Adult WFC, the growth in the number of participants has been steady also in the U19 WFC. The Men’s U19 World Championships started with 12 teams in 2001 and in 2011 there were 21 teams in the Championships. The amount of teams in the Women’s U19 WFC has increased from 8 teams to a new record of 14 registered teams for the U19 WFC 2012.
the competition has been constant, in 14 years the number of Men’s participants has tripled from 12 teams in the first World Floorball Championships to a new record of 32 registered teams for the WFC 2010. The same trend is seen also in Women’s World Championships as the amount of teams has increased from 10 in the first WFC to 24 in the WFC 2011.
he national club champions, men and women, from the European countries play from 2011 either in the Champions Cup (CC) or in the EuroFloorball Cup (EFC) annually. The Champions Cup is for the national champions of the top four ranked nations and the winner of the previous EFC. The tournament is played in October with 6 men’s and 6 women’s teams. The EFC is from 2011 for the national champions of the 5th and lower ranked nations. The EFC consists of a Final Round and Qualification tournaments played in August. The Final round is played in October and there are 6 men’s teams and 6 women’s teams playing for the EFC title. Four teams, which always includes one from the organising country directly qualify to the EFC Final round. The remaining national champions have the chance to achieve the spot to the EFC Final round tournament in the EFC Qualifications as the winners of the Qualifications will proceed to the Final round. The first European club team championships were played already in 1993 and this European Cup was the first international event ever. The competition was reformed for the first time in 2007, when the qualification system was divided into three tournaments and the name was changed to EuroFloorball Cup. In 2011 the club competition system was further developed and Champions Cup was established. The first tournament in 1993 was played with 6 men’s teams and 4 women’s teams. Since then, the number of participating teams increased steadily. In the end of this decade the amount of teams has increased to approximately 20 per category (records: men 23 teams in 2008 and women 18 teams in 2009), so in total about 40 national champions take part in the European Club Competitions annually. First Player Profiles Jarmo “Japi” Perttilä (born 1961) – Finland Japi Perttilä, with his pair on the Floorball fields, Heikki “Vinski” Vienola dominated the Floorball fields in Finland from the end of the 80’s until 2000. Perttilä was a player type, who had the goal scoring in his blood. There was not a place from where he did not try to score. He shot regardless of the pass: from air, with his back turned and from the poorest scoring sector. During his best season he collected an average of three points per match. Perttilä is one of the Floorball pioneers also outside the rink. In the 80’s he started as a stick manufacturer and the first Finnish Floorball stick brand, Pro Stick, emerged. He was the one in Finland to start Floorball equipment branding, producing balls with different colours etc. Perttilä later sold his brand and started in the Floorball arena business with his Floorball partner Vienola. Arena Center, Perttilä’s and Vienola’s company, renovated old industry halls into Floorball arenas and gave the playing possibility for tens of thousands of people in Helsinki capital area. The jewel in their arena business was built from scratch on 2002, when the world´s biggest Floorball arena with 8 full sized Floorball fields was built in Helsinki. Player profiles from the 90´s Mark Wolf (born 1974) – Switzerland Mark Wolf was one of the best Floorball goalkeepers in the world during his career starting in the early 90’s. He was technically a very good goalie and developed and improved the goalkeeper techniques during his career. Wolf played in the first ever European Championships in 1994, where Switzerland took the bronze. He is also one of the few players who have won the national championship title in two countries as he has won eight national championships with the Swiss team Rot-Weiss Chur and one with the Swedish team Pixbo. In the World Championships in 1998 the Swiss goalie was the hero of the semifinal match against Finland as he took his team sensationally to the final. Wolf was then elected to the 1998 All Star team. Esa Karjalainen won several Swedish championships with Lockerud before he won two WFC gold medals with Sweden. In addition he played in the first official international match in 1985 against Finland and won the first European Championships in 1994. Karjalainen made a long career in Sweden and after moving to Finland he became the leading defender in the Finnish league. Karjalainen was the first floorball player in the world to play 50 internationals. Åsa Karlsson is one of the biggest names within the Swedish women’s Floorball. She was elected as the player of the year in Sweden at a young age and won the scoring league in the highest league in 1999. In total she collected seven national championship gold medals and five times she was the most effective player in the play-offs. Mandy Keränen was a tremendous athlete who played in the beginning of her career in the Finnish club team Josba and was one of the forces behind Josba’s success in the 90’s. Keränen was one of the first Finnish women players to play abroad in the 90’s as she played for the Swedish top team Balrog. In the 1999 World Championships in Borlänge Keränen was crowned with a WFC gold and was also elected as the best player of the tournament. The WFC gold was finally also followed by the Finnish championship gold and she could celebrate the European Cup, the Finnish Cup and the Finnish national championship title. Janne Tähkä has been Mr. Salibandy (Floorball) in Finland. He collected a number of championship medals in Finland, but more notable was his influence to making Floorball known as a technical sport. Tähkä was one of the pioneers concerning the amount of time he put into training, which also paid off. Even before he “created” his Zorro moves, he dribbled through the opponents with his amazing ball handling skills. When he started with his Zorro tricks, a legend was born, and the Zorro is nowadays practiced by thousands of Floorball players around the world. The Zorro moves have become Floorball’s own subsport with its own competitions. Thomas Engel was one of the first big international Swiss stars, having played 332 matches in the highest Swiss league and played in the Swiss national team in five World Floorball Championships. In 1998, when Switzerland won the WFC silver, he was also elected to the WFC All Star team. Engel was a very skilled forward and tactical genius, who was both physically, technically and tactically a strong leader in his teams. Mandy was never the player who collected most points, but was appreciated by both team mates and coaches as she always gave 100% playing in both directions and read the game very well. She also had the time to travel to Japan in the 90’s to teach floorball for the local floorball enthusiasts. Tähkä’s bohemian style, his character and colourful comments as well as the star player “diva like style” on the field made him the media’s favourite.He is the most well-known Floorball player in Finland. Tähkä also played two seasons abroad during his career, 1996-1997 in Sweden and 2004-2005 in Switzerland. Lersbryggen was one of the players who took Norway to the medal matches in the World Championships and in 1997 and 2001 Norway won the WFC bronze medal. Lersbryggen was on fire in the WFC 2001 and collected the most points with 13 points (7+6). All in all she scored 73 points (44 goals + 29 assists) in 51 internationals in the Norwegian national team, where she made her debut in 1995. She was elected to the World Championships all star teams in 1997, 1999 and 2001. Engel was the captain of the national team and the first player to play over 100 internationals in Floorball. In addition to three World Championships medals he has also collected two European Cup bronze medals with his club team Rot-Weiss Chur (1993 & 1996). The Norwegian national team Floorball player can be considered a multitalented sports woman as she also played in the national team in ice hockey as well as the U16 football national team. Big was known for her very good shot and for the ability to utilize her height and strength. Lersbryggen has also won the Swedish Championships gold medal four times with Balrog and was for many years the best player in the Swedish Elitserien, winning the scoring league in 2002 with 62 points, which is a great achievement. Arja Joutsen played her first match in the highest league in Finland when she was only 14-years old, and in just the next year, in 1995, she represented Finland in the first ever European Championships. Joutsen was most of all a smart playmaker, but she was also known for her spin move, keeping the ball on blade. She was a true team player and was therefore a long time captain in both her club team as well as in the national team. Johanna Ekeroth is one of the biggest stars within Swedish Floorball. Ekeroth has won the scoring league in the highest league in Sweden eight times and has also scored the most points in the World Championships twice. Ekeroth made her debut in the Swedish League when she was only 14 years of age and soon became one of the most accurate goal scorers in both her club team and national team. Ekeroth is amazingly talented in finding the empty net from both the forehand and backhand side, which made her a real sniper and she still is! After a break of three years Ekeroth played again in the highest league, returning to Lockerud in 2009. During the seasons 1994 to 2002 Kettunen collected five Finnish championship titles and two World championship gold medals. One of her unforgettable goals was the in the 2001 semi-finals when she broke loose from the Swiss defence and scored a zorro goal in full speed. Martin Olofsson is the player who has scored the fastest hat trick in the Swedish league – he scored three goals within 1:07 against Balrog in 2001. Together with Mika Kohonen he has also the record of most points in one match (in Sweden) when he collected 6+5 against Fornudden 2001. Martin Olofsson has also played as a professional in Alligator Malans, Switzerland. A colourful combination of playing skills and personality makes Jonna Kettunen one of the most famous players in Finland. Kettunen is remembered for her sharp wrist shot, which was a great threat for the opponents. She was also able to shoot from very high speed, which made her one of the best female strikers ever in Floorball. In the first European Cup Kettunen played in the goal for team Erä but during the same season in the Finnish League finals she returned to play in the offense. Player Profiles from the 21st century Matthias Hofbauer (born 1981) & Christoph Hofbauer (born 1983) – Switzerland Christoph and Matthias Hofbauer are both top athletes and the best known Floorball brothers within the Floorball world. Both have played most of their career in the same team, in Wiler-Ersigen, but both also played in Sweden, in IBK Dalen. In addition Matthias Hofbauer has also played in Jönköping. the all time Swiss scoring league in international matches and more is still to come. Matthias has also been the team captain of the Swiss national team since 2005 and is currently a member of the International Floorball Federation’s Athletes Commission. Matthias Hofbauer has scored the most points in a single WFC, 11+11 in 2004, and he was the top scorer in the WFC 2010. The older brother, Matthias, made his first World Championships appearance in 2000 when Christoph still played in the Under 19 World Championships (in 2001). Christoph played his first Adult championships in 2004. Usually the brothers play together in the same offensive line, but with quite different roles. The fact that Christoph plays with left grip and Matthias with right grip makes it easy for them to move the ball quickly between each other. Both players are known for making the game difficult for their opponents, but Matthias is usually seen as more of the playmaker serving good opportunities for his team mates whereas Christoph is a creative player who does unexpected solutions on the field and also a good striker. Daniel Folta is one of the most impressive Czech floorball players and also very well known on the international scene. In addition to the success in Czech Republic, Folta has also played successfully in the Swiss league and after his comeback from Switzerland, in 2009, he returned to his home club Vitkovice and helped the team to overplay Tatran Stresovice and win the Czech championship title. Folta ended his career after the 2008/2009 season. Jill Quek has improved amazingly from an in-line and ice hockey player to a top floorball player. Quek was is one of the first floorball players from Asia to play in Europe, and is the only Asian player to have made it to the highest leagues in Finland and 1st division in Sweden. She has won each of the national championships in which she has played in Singapore. Petra Kundert is known for her speed, talent and winning mentality. Kundert matured gradually in Piranha Chur and developed greatly as she received more responsibility, but her big break through was made when she played for the Red Ants Rychenberg. There she became a real star in the Swiss Floorball League! Quek has been the star player of the Singaporean women’s national team and scored a great number of points for team Singapore in the World Championships in 2005, 2007 and 2009. Recently she has been involved in coaching floorball in Singapore. Novotna´s Floorball career started in the team of Dekanka with which she never achieved the Czech title. Afterwards she changed to Tatran and from this point on her playing developed a lot. Despite good preparation it took the team quite a long time to finally become a Czech champion under new club name HFK Dekanka. Folta was is a physically strong defender and a great passer. He was is also a fighter who never gave up in the rink. He was a member of the Czech national team since the very beginning and only missed the 2004 World Championships because of an injury. Quek brought international colour to the top class northern leagues and with great success. Quek’s change of direction speed and the ability to score goals made her one of the best players in the Finnish league in the season 2007-2008. The best Czech forward of the decade is one of a bunch of Floorball players who started playing at the age of 17. Before Novotná was a very successful handball player and the strong drive in the offense derives from her handball background. She is one of the players that is ready to fight hard for every ball and her killer instinct makes her dangerous for every opponent. Fredrik Holtz (born 1985) – Germany Fredrik Holtz was eight years old when he started playing Floorball out on the street in the small town of Mora in Sweden and at eleven he started playing for Mora IBF. The striker has lived his whole life in Sweden, but with his double citizenship the national team career has not followed the regular path. The sniper from Mora played his first WFC in 2003 in the Swedish U19 national team. After the U19 WFC he played his first Men’s WFC in 2006 for Germany. Now Holtz is the brightest star in the German national team and was elected the male player of the year 2011 in Germany. Mirca Anderegg (born 1981) – Switzerland Mirca Anderegg is known for her very quick legs and technical floorball skills and her speed together with a sharp shot has made her one of the best Swiss floorball players. Despite her quite small size Andregg is able to play tough and she is always hungry to score goals. Anderegg is at her best when she is possessing the ball. Holtz has become known for his power, strength and goal sense on the field. He is a player who is able to produce points and score goals in important matches. In 2008 Fredrik Holtz won the promotion to Swedish Superleague with his Team Mullsjö and during the next season, 2008/2009, he became also Top scorer of the Swedish league with 62 points. Andregg is one of the Swiss players who has won everything a floorball player can win as she has the World Championships gold, EuroFloorball Cup gold, Swiss Championship gold as well as the Swiss Cup gold medal. Widar has played for Rönnby for many years and in 2007 she got to celebrate her first Swedish championships gold medal. She was also the first player to be elected as the best player in Sweden two times in a row. In addition she has been elected as the best floorball player in the world twice. Three times she has been included to the WFC All Star and in 2007 she was the best player in the World Floorball Championships. The Czech national team captain started playing Floorball when she was 18 and from the very beginning she belonged to the top players. With a long term experience from basketball she knows how to play a team sport. She is ready and able to play at any position on the field. Her strengths are good technical skills, her good physical shape and in addition she never gives up. Karolina Widar has played center in the Swedish national team since 2001 and has also been the captain of the national team. Widar is known for her excellent floorball technique, the capacity to work hard and for her ability to read the game. As center she is able to build and lead the game and she is also a leader type with a positive attitude outside the field. In addition she has the valuable ability to settle important matches. World Championships: Gold 2005. Silver 1999, 2003, 2009. Bronze 2007 World Championships All Star forward 2007 EuroFloorball Cup: Gold 2007 and 2008 with UHC Dietlikon, silver 2009 with Piranha Chur Swiss Champion: 2006, 2007, 2008 and 2009 with UHC Dietlikon and 2009 with UHC Dietlikon, 2010 with Piranha Chur Clubs: Piranha Chur, UHC Dietlikon, Balrog (SWE). EuroFloorball Cup: Gold 2010 with Storvreta IBK. Swedish champion: 2010 and 2011 with Storvreta IBK Player of the year in Germany in 2011 Clubs: Storvreta IBK (SWE), Hide-a-lite Mullsjö AIS, Jönköping IBK, Mora IBF. Magnus Svensson is known as a goal scorer and for being the player that settles the big matches as he did in the World Championships finals in 2004 and 2006 and the Swedish championships finals in 2005, 2007 and 2008. He was also involved in capturing the gold in the first Under 19 World Championships in 2001. Sandra Dirksen is the captain and leader of the German women’s national team and she is one of the few German players, who have also managed to take a leading position in one of the top clubs in the world. Sandra now plays for the club team Red Ants Rychenberg Winterthur in Switzerland and has won both the Swiss National Championship and the Swiss Cup. Anne Suomalainen is a player who has achieved great success in two countries by winning the national championships in both Finland and Switzerland. Swiss champion: 2003 with German team SSV 98 Dessau and 2011 with Red Ants Rychenberg Winterthur Champions Cup & EuroFloorball Cup: Bronze 2010 with Red Ants Rychenberg. Player of the year in Germany 2011 Clubs: Red Ants Rychenberg Winterthur, SSV 98 Dessau. Suomalainen was elected as the player of the year in Finland in 2009, when she scored the most points within the regular season and since she has made a long lasting contract with SC Classic, the amount of points are still increasing. She is one of the German national team players with most international experience. She played her first World Floorball Championships in 2001 and has been a member of the national team since. In the World Championships Qualifications 2011 Sandra led the German team to the WFC Final round as she was the tops scorer of the WFC Qualifications collecting 8+2 in four matches. In 2011 she was also elected the female player of the year in Germany. Speed and physical game - this is how Atis Blinds can be characterized. These are also the qualities that have made him one of the best players in the world. Blinds has always has been a team player and the game creator and when he is playing in the middle he is doing the ‘dirty job’ creating scoring opportunities for his team mates. Svensson is considered to be one of the best goal scorers with his strength in front of the goal, precision and winning mentality. She has a strong character and is described as a player with an incredible will to win. She is one of the best two-way players and is in a class of her own in the defensive zone. In addition Dirksen is a physical player and she does not avoid body contact. Atis Blinds is one of the players who has reached a total of seven gold medals in the Latvian championships. He is known for his accurate passes and can be called the best passer in the Latvian league. Magnus Svensson is one of the few players that has won both the World Championships, National Championships and EuroFloorball Cup gold. Svensson was the most effective player for three seasons in a row in the Swedish league (2006/2007, 2007/2008, 2008/2009). He has scored 40 goals per season in average and as his career continues he can become the all-time top scorer in the Swedish League. Suomalainen is a very technical player and known for her great ball handling skills, not least her Zorro moves, from behind the goal. She is both a good striker and a good playmaker serving her team mates accurate passes. Blinds has played in the Latvian men’s national team since 2002 and in 2001 he played in the Under 19 national team. In the World Championships 2010 he collected the 3rd most points 11+5 and also in the EuroFloorball Cup Final round 2011 Atis was the top scorer, collecting 5+10 in four matches. This helped RTU/Inspecta to win the EFC Final round and be promoted to the Champions Cup 2012. Latvian champion: 2003, 2004, 2006, 2007, 2008, 2010, 2011 EuroFloorball Cup: Gold 2011 with RTU/Inspecta Top scorer in Latvia in 2011 All Star forward in Latvia in 2004, 2006 and 2007 All-time best passer in the Latvian Championships history (370 passes) Clubs: RTU/Inspecta, Latvijas Avīze, Ķekava, RTU. Mika Kohonen has been a gift for both the Finnish and Swedish floorball leagues. Five times he has been elected the player of the year in Finland and twice in Sweden. He has also been awarded as the world’s best player three times by media representatives and coaches around the world. Kohonen is without doubt one of the all time best floorball players in the world. Radim Cepek is the most well known Czech floorball player. He is one of the few players, who has played in seven World Championships. He made his international debut in 1994 and since that moment he has been a part of the national team. His floorball career started in 1993 in the Dream Team Ostrava (nowadays BIX Ostrava) after which he transferred to the historically best Czech team Tatran Stresovice. He is by many considered to be on a level of his own concerning the game understanding. In his center position he leads and directs a game and gives amazingly accurate passes to his team mates. World Championships: Gold 2008, 2010. Silver 2000, 2002, 2006. Bronze 1998, 2004. World Championships All Star forward 1998, 2000, 2004, 2006, 2010 + MVP. EuroFloorball Cup: Gold 2010 with Storvreta IBK Swedish champion: 2004 with Balrog, 2010 and 2011 with Storvreta IBK Player of the year in Finland in 1999, 2000, 2001, 2004 and 2011 Player of the year in Sweden in 2001 and 2011. Best player in the World in 2002, 2009 and 2010 Clubs: Storvreta IBK (SWE), Balrog (SWE), Happee. Niklas Jihde is one of the Floorball icons that have been a big factor in the Swedish national team success. He is known to be a mentally strong player in the decisive games and has collected five World Championships gold medals, three EuroFloorball cup victories and won four Swedish championship gold medals. In 1997 Jihde scored the most points in the Swedish League with 59 points (32+27). The legendary Swiss goalkeeper has been a part of top national and international Floorball for over 10 years. She was elected to the All Star team in her first World Championships in 1999 and still played in the goal 10 years later in the WFC 2009. Niklas Jihde has been a leader on the court and has annoyed his opponents by scoring many match winning goals for his team. Jihde’s goal scoring ability is of highest class, as he is able to score goals from any situation, however impossible they might seem. He is especially known for his ability to direct air passes into the net. Tomatis is a winning goalkeeper and valuable at the World Championship level. The more at stake in a match, the better she is. Tomatis was the last lock in the Swiss defence in the 2005 World Floorball Championships when the Swiss national team won their first ever World Championships gold medal. She was elected as the All Star goalkeeper in that tournament. Tomatis changed her style of goalkeeping quite late, which tells much about her ability and desire to develop. Kohonen left Finland after five seasons and moved to the Swedish league to play for Balrog, where he won the championship title in 2004. His success in Sweden continues with Storvreta IBK where he has won the Swedish championship gold twice and the EuroFloorball Cup gold in 2010. He has scored the most points in one season in the two best leagues of the world and was one of the first Floorball players to make playing a profession. As Tomatis is originally from the southern and Italian speaking part of Switzerland and has made a lot to promote the sport in the region. She has also been involved in coaching and was the assistant coach for the Under 19 Women’s national team 2008 when the team won the first World Championships gold medal. World Championships: Gold 2005. Silver 1999, 2003, 2009. Bronze 2007. World Championships All Star goalkeeper 1999 and 2005 U19 World Championships: Gold 2008 (as a coach) EuroFloorball Cup: Gold 2007, 2007/2008, Silver 2009, Bronze 2008 with UHC Dietlikon Swiss Champion: 2007, 2008 and 2009 with UHC Dietlikon Clubs: UHC Dietlikon, Balrog (SWE), IBC Engelholm (SWE), Piranha Chur, KlotenBülach Jets, Jona-Uznach Flames, Zuger Highlands, Gordola. In the first ever Women’s World Floorball Championships Admane scored the very first goal for the Latvian national team. She has played seven Women’s World Floorball Championships from 1997 to 2009 and is currently on the 9th place in the all time top scorer list. In addition to playing Admane has also taken the step into coaching and in 2008 she was the head coach of the Latvian Women’s Under 19 national team. Latvian champion: 1999, 2001 and 2002 with Lauku Avīze and in 2010 with Rubene. Best player in Latvia 1993-2008 Clubs: LSPA, Lauku Avīze, Latvijas Avīze, Øreåsen IBK, Rubene, Cielaviņas Armija. Willy Fauskanger is a legend in Norwegian floorball, both at the club level and in the national team. With an enviable track record and score statistics that others can only dream of, he is perhaps the best player in Norway ever. As a player Willy has many strengths, but his greatest strength is his shot. The combination of power and accuracy makes him a notoriously high scorer and his 10 goals in a Norwegian league match in 1999 is still a record. Katriina Saarinen has become the Finnish Floorball female legend, who has been at the top over 10 years now. The age does never bother “Kassu” as she moves on the field like a youngster. Saarinen can be described as a multitalented sports woman as she has also played tennis on the top level in Finland. Fauskanger has collected the most goals and points for the Norwegian national team, a total of 114 points in 77 matches (67+47) and he is also the current scoring leader of all Men’s World Floorball Championships from 1996-2010 with 68 points (40+28) in 42 matches. Saarinen is one of the main reasons behind many of Classic´s Finnish championship gold medals when Classic has won four consecutive Finnish championships. Kassu is also the first woman in Finland to collect over 400 points in the Finnish League. Järvi has also showed his fighting spirit in the Finnish national team and he has played in all the Men’s World Championships since 2000. Järvi’s career highlights are the Men’s World Floorball Championship gold medals, the first WFC gold for Finland in 2008 and then the WFC 2010 gold when he as the captain could lift the WFC trophy on home ground. Liene Admane is a legendary floorball player in Latvia who already at the age of 15 was announced the best player in Latvia, which she has been from 1993 to 2008. Liene Admane has set many records in Latvian floorball that will be hard to beat and for many years she has been the top scorer in her home country. Järvi is known for his strong will and fighting spirit and for his commitment to the team, which has made him the team captain both in his club team and the Finnish national team. Järvi is often at his best in tight situations, which makes him a winner. The tougher the game is the better Järvi plays. Järvi has collected the most Finnish championship victories, 10 gold medals and also leads in the amount of points scored in the Finnish play-offs. In 2011 he was the team captain of SSV when the Finnish team won the first edition of the Champions Cup. Saarinen can be described as a strong fighter on the field, but she is also a very effective player. Saarinen has collected the most points in the Finnish league with 528 at the moment, scored the most goals and also leading in the amount of assists. Kassu made her national team debut in 2001 and until now she has played in four WFC’s. Still in 2011 she is an important player in the Finnish national team being the all-time national team top scorer. Minne Dahlerus has been one of the best floorball players for a long time and has collected most medals in the Swedish league: 15 medals out of which nine are gold. In addition to her long career in Sweden, Dahlerus also played as a professional in Piranha Chur in Switzerland. Simone Berner is very ambitious and a hard training player. She is a leader both on and off the court and has been elected team captain for both her club team and the national team. Berner played one year in Sweden for IBK Boden and this year was important for her career. Simi is equipped with a good game sense and her passes are amazingly accurate. She is also a tough player difficult to beat in the one against one situations and very dangerous in the offence because of her great shot even from long distance. The secret of her long and successful career is her working moral and the will to develop. In 2011 she is still an important part of the Swiss national team. Already an accomplished goalkeeper in Field Hockey, Sebastian only started playing floorball in 2010. With hard work and outstanding commitment, Sebastian quickly became a rising star in Australian floorball. He was selected to play for Australia in the Asia Pacific Floorball Championships 2011. He played every minute of every game for the undefeated Australian team and Sebastian was deservedly selected the APAC All Star team. Hermine Dahlerus is seen by many as a complete player with a lot of different strengths. She is known for her high working moral, but also seen as a sharp finisher and a winner. World Championships: Gold 1997, 2003, 2007. Silver 2001. Bronze 1999, 2005 World Championships All Star forward: 2001, 2003 and MVP 2009. Champions Cup & EuroFloorball Cup: Gold 1997, 1998, 1999 with Högdalen, 2001, 2002 and 2003 with Balrog and 2011 with IF Djurgårdens IBF. Bronze 2008 with Balrog Swedish Champion: 1996, 1997, 1998 and 1999 with Högdalen, 2001, 2002, 2003 and 2009 with Balrog and 2011 with IF Djurgårdens IBF Player of the year in Sweden 2002 and 2007 Clubs: Balrog, Piranha Chur (SUI), Högdalen, Hagsätra She is the current top scorer when taking the Women´s WFC’s (1997-2009) into consideration with 55 points (37 + 18) in 36 matches. Simone Berner was also elected as ambassador for the women’s sport in the Swiss national campaign “Cool and clean”, and proves to be a great role model for young women within sports. Besides the bunch of WFC medals Dahlerus has also been really successful on the international club level. She has won the EuroFloorball Cup six times, first three times with Högdalen in the 90’s and then three times with Balrog in the beginning of the 21st century. In 2011 Minne’s team IF Djurgårdens IBF won both the Swedish Championship gold and the first edition of the new international top club competition, the Champions Cup. In May 2011 Sebastian represented Australia for the first time in the U19 WFC in Germany. His great spirit and positive attitude made him popular with his team, the media and a multitude of fans. Sebastian was recognised for his skill with selection into the WFC B-Division All Star team. He has a bright future in floorball, and is already giving back to the sport, by developing new players while studying at the University of Notre Dame. She has been the key player in the Swedish national team for more than a decade and in November 2009 she became the first woman to play 100 internationals and at the same time the first Swedish player to play that many matches. Dahlerus is one of the few players who has played in seven Women’s World Championships. Joel Inouye is a talented player who excels in one-on-one situations. He has already played in two Men’s U19 World Floorball Championship B-divisions and in the last Men’s U19 WFC in 2011 he was one of the leaders of the Canadian team and was also effective in scoring collecting 5+1. uring the first decade of its existence IFF concentrated mostly on developing its own competition system and running the competitions. It was only in the beginning of the 21st century that IFF changed its strategy and started to focus more outside its own organisation. the recognition application process IFF started to put additional focus on the development of its member associations. In connection to this process the IFF founded an Athletes Commission, giving the athletes the possibility to directly affect the decision making process of the federation. Also a new license system for participation in IFF Events has been created to force the members to develop their own operations before participating in the World Championships. Games, but since IFF had not received the full recognition prior to the decision of the shortlist of contenders Floorball can earliest now apply for a place at the 2024 Summer Olympics. IFF on the International Sports field IFF has during the last few years been very active in the International Sports movement, through participation in the work of the Association of IOC Recognised International Federations, which IFF became a member of after the IOC provisional recognition. The ultimate objective for Floorball is the participation in the Olympic Summer Games, this in order to reach the value of the sport to its true potential. In order to succeed in this very challenging target, IFF and the Floorball community needs to be well organised, with efficiently running member association’s actively taking part in the IFF Events and showing that Floorball is a part of the International Sports family, which can accommodate both top sports on a broad base and create recreational sports for the grassroots. Furthermore Floorball needs to appear on the programme of a number of multi-sport events, like the World Games, Universiade and Master Games. Also participation in regional games, like the SEA Games, Asian Games Commonwealth Games and Pan American Games is of great importance. As a part of this process IFF joined the International Master Games association and is in the process to have Floorball on the Programme of the World Master Games in Italy in 2015. In addition to this the IFF cooperates closely with the International Student Sport Federation (FISU) as a part of spreading the visibility of Floorball. Floorball is a very popular sport in the Universities and it is therefore logical for IFF to actively promote international Floorball played by students. FISU has organised World University Floorball Championships starting from 2002. IFF strives to include Floorball on the program of the Universiade in the coming years. IFF accepted the World Anti-Doping Code in 2003 and subsequently the revised code in 2009. IFF is working in the main stream in the fight against doping abuse. IFF promotes clean sport and the IFF Anti-Doping Regulations are adopted and implemented in conformance with IFF´s responsibilities under the Code. Since 2004 the WFC finals have been broadcast live on Eurosport, as well as a vast number of other matches. A new TV record in the amount of televised matches was reached in 2008 and 2010 as 17 Men’s WFC matches were televised. The WFC 2010 matches were broadcasted in seven countries with an average of 350.000 viewers in Sweden and around 500.000 in Finland watching the final. national broadcasting companies in one way or the other. IFF has taken the role of coordinating the signal and the satellite uplink, working closely with the Eurovision/EBU. There are a big number of different types of Floorball internet sites and Floorball has also lately moved into streaming matches on the internet not only on an international level, but also on a national and even regional level. loorball needs the media in order to receive its fair share of publicity, but smaller sports often need to invest to get TV time. The approach to buy airtime in order to popularise Floorball will continue in order to increase the visibility and to receive new fans. Floorball is widely represented in the local press and in the national press in the bigger countries and the number of available information channels will continue to increase. In order to do this one strategic option is to build a Floorball TV, in co-operation with the member associations, securing a basic level of coverage from all major events. IFF is now using the Youtube SportsHub IFF channel to collect Floorball moving images. Presently all the matches from Adult, U19 and top club competitions are broadcast on the Internet, but the plan is to have more and more TV visibility as well. The brand also needs to secure that we in all the markets still can attract more players, either by focusing on developing our core product, the national and international championships or by creating alternative competitions to ensure participation also in the Sports for All Competition segments. When building the brand, IFF needs to concentrate on the main product we have, the Top Competitions, which are the only international showcase outside the Floorball community. IFF entered in to a new co-operation with the oldest and biggest Floorball Manufacturer in the World – Unihoc in beginning of 2011, in order to speed up the development of Floorball world-wide. Unihoc is the official supplier of Floorball sticks and goalie equipment for IFF, which is especially important having a partner with a wide range of products for both the top players and new recreational players. IFF and Unihoc also co-operates closely in the spreading of the sport to new markets, where Unihoc has created a product line for the emerging markets and schools called Reactor. Unihoc has also decided to sponsor IFF separately, in order to make it possible for IFF to employ a Development Coordinator for the period 2012-2014. One of the most rapidly developing parts of equipment in Floorball is the ball itself. IFF has for the seasons 2011 – 2014 agreed to use in all official International Events the CR8ER ball produced by Unihoc. IFF signed Apparel contract with the sports shoe and apparel company Asics in 2011, in order to speed up the brand building of Floorball. IFF will together with Asics promote the sport in the retail market and Asics will produce a range of Floorball shoes and referee equipments for Floorball. IFF has together with Asics created the Most Valuable Player trophy – a Golden Shoe award in both Men’s and Women’s World Championships. Gerflor continues to be one of IFF’s very important material partners in the field of official certified floorings for the IFF Events. This partnership gives the IFF the possibility to really build the brand identity, since it now is possible to have Gerflor flooring in most of the IFF Events. The contract with Gerflor lasts until December 31st 2014 IFF signed a new partnership agreement with Swerink as the official rink provider for IFF Events. IFF has worked with Swerink for a number of years and it was now time to formalise the situation. Swerink is an important part of the same look and feel aspect, since the provide IFF rinks for both the IFF Eventsw and development work.